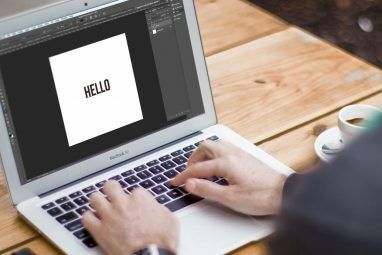 When it comes to image editing, there’s no doubt that Photoshop is one of the most widely used programs on the market. While it comes with tons of features out of the box, sometimes the packaged components are just not enough. 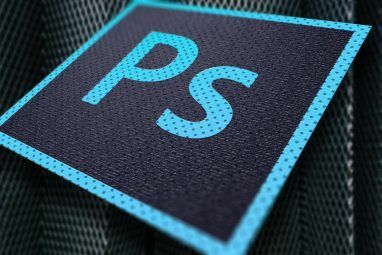 Luckily, Photoshop is an extremely versatile program that allows you to install actions, brushes, and even plug-ins to extend its capabilities. Here are a few of the choicest freeware Photoshop addons, to get your creative juices flowing, and hopefully to enhance your experience with Photoshop! Normally, when you alter an image in Photoshop, you take a series of steps to get your image from its raw, unadulterated form, to the final, polished masterpiece. If you manipulate your images often, you’ll find yourself taking the same steps for different images, over and over. This is where actions come in – steps are recorded in sequence, and when an action is played, all the steps are carried out on your image of choice – reducing repetitive tasks like framing pictures or changing skin tone to one click. This is a great pack of actions that alters the tone of your image. The effects that it produces replicates many of the popular tones seen in magazine photo shoots and professional images, and allows the recreational photographer to achieve better results when post processing. Another task that photographers have to carry out constantly is digitally framing their pictures. While the process itself is simple, it gets tedious and repetitive when there are dozens of pictures to go through. Luckily, Photographer’s Toolkit produces a myriad of frames for your choosing, and applicable at the click of your mouse. Just about any brush you can think of can be found on the internet. Whatever you need- whether it is a blood splatter, a pair of wings, or even eyelashes- is just a Google search away. Here, I’m going to pinpoint a few brush sets that I like, but keep in mind that there are literally thousands more brush sets out there. This brush set is perfect for adding a bit of that hand-drawn feel to your projects. I personally adore this set because, while vector or splatter packs are a dime a dozen, this set is truly unique. This gorgeous brush set is another example of how anything you can think of has probably been made into a brush. The sample brushes pictured above are just a small selection of the ones in the actual set (there are actually about three times as many). Perfect for adding a bit of mystery and allure to photo manipulations, the variety of brushes in this set makes it useful in many situations, and definitely a set worth adding to your arsenal of Photoshop tools. 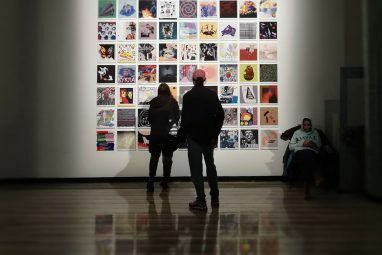 Plug-ins are a bit like actions in that they simplify the process of manipulating pictures, but they’re a bit more customizable than actions, which produce the same results every time. Think of, for example, how the Gaussian Blur filter allows you to adjust the extent of the blur you want. Plug-ins are like that – they’re essentially filters that change the way your pictures look. Unfortunately, most plug-ins are not free, but the effects they produce can be replicated by hand through a much longer process. This plugin pack includes about twenty different plug-ins that allow you to do everything from make a picture foggy, to produce a lithograph effect on your picture. All of the plug-ins are adjustable, so you can play with the extent of the transformation. The image above demonstrates the effects of a few of my favorite plug-ins; clockwise from the top, they are: Titanium, Artworkx, Artifax, and Seasons. Now that I’ve introduced you to just a few of the Photoshop resources on the internet, I hope you’re feeling a bit more artistically inspired by the extent of Photoshop’s adaptability. If you feel like you need to browse a few more brush sets or action packs, websites like deviantArt and Photoshop Tutorials house hundreds, even thousands more resources for you to peruse. Do you have any trusted sources for Photoshop addons? What are your favorite brushes/actions/plug-ins? Let us know in the comments! How do you install these plugins? I saved the files and have the zip files but how do you get them to work with photoshop? "If you feel like you need to browse a few more brush sets or action packs, websites like deviantArt and Photoshop Tutorials house hundreds, even thousands more resources for you to peruse." Right, that way they'll never learn how to really use photoshop, and completely lose the concept of art and design.